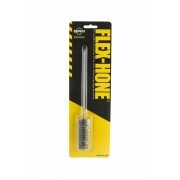 The Flex-Hone tool is a perfect solution for many of your finishing, deburring and edge blending needs. 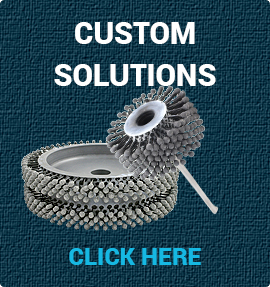 Available in a variety of sizes and abrasive types, our honing tools use a flexible honing process to provide superior surface finish on any base material. Our flex hones are unlike any other honing tool because it produces an unmatched controlled surface condition. 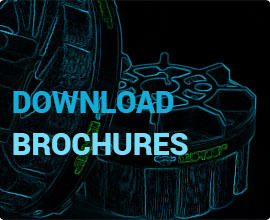 Browse our selection below to find the appropriate flex hone tool for your application. Order by Bore Size. The Flex Hone® is always produced and used in an oversize condition. 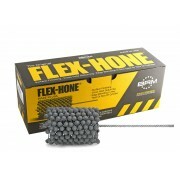 If your bore size is 1" order a 1" Flex Hone®. 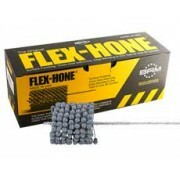 If your bore size falls between Flex Hone® sizes select the next size up. Flex Hones® : 4mm - 3/16 are 6" OAL / 5mm - 3" are..
Order by bore size The Flex Hone® is always produced and used in an oversize condition. For example if your bore size is 3 1/4" you need to order a GB 3 1/4" hone. If your bore size falls between Flex Hone® sizes you need the next size up. The GB Series Flex-Hone tools are design..
Order by bore size The Flex Hone® is always produced and used in an oversize condition. If your bore size is 4" you would order a GBD4", if your bore size falls between two sizes you would order the next size up. The GBD Series Flex-Hone tools are designed for bore diameters from 3" to &n..
Order by bore size. The Flex Hone® is always produced and used in an oversize condition. If your bore size is 9" you would need a GBD 9", if your bore size falls between two sizes you would need the next size up. The Heavy Duty GBD Series Flex-Hone tools are designed for bore diameters..
Order by bore size. The Flex Hone® is always produced and used in an oversize condition. If your bore size is 20" you would need a GBDX 20", if your bore size falls between two sizes you would need the next size up. 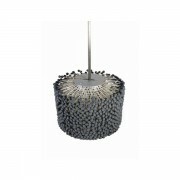 The Extra Heavy Duty GBDX Series Flex-Hone tools are designed for bore d.. Replacement honing sections for GBDX tools are ordered in sets. For 19" - 22" hones you require 22 No. 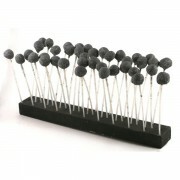 Sections For 23" - 26" hones you require 29 No. Sections For 27" - 31" hones you require 36 No. 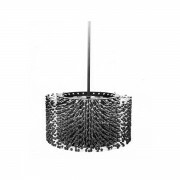 Sections For 32" - 36" hones you require 44 No. Sections Please click Extra Informatio..